Cupcakes is always a winner for a children's party but is even becomming popular for weddings too. 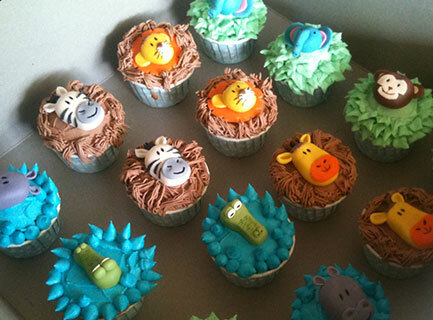 Here is cupcakes for Africa with handcrafted animals on with one cupcake for the birthday boy with his name and animal prints. Cute!